Powered by single 18650 battery, Vaporesso Swag is a 80W TC Box MOD with compact size and elegant appearance. Together with upgradable Omni 2.0 chipset and 0.91-inch OLED display, the 80W Swag MOD will bring you an easy yet satisfactory vaping. Just get one Swag to enjoy! The Vaporesso Swag TC Box MOD is a compact and portable TC Box MOD with ergonomic deisgn. 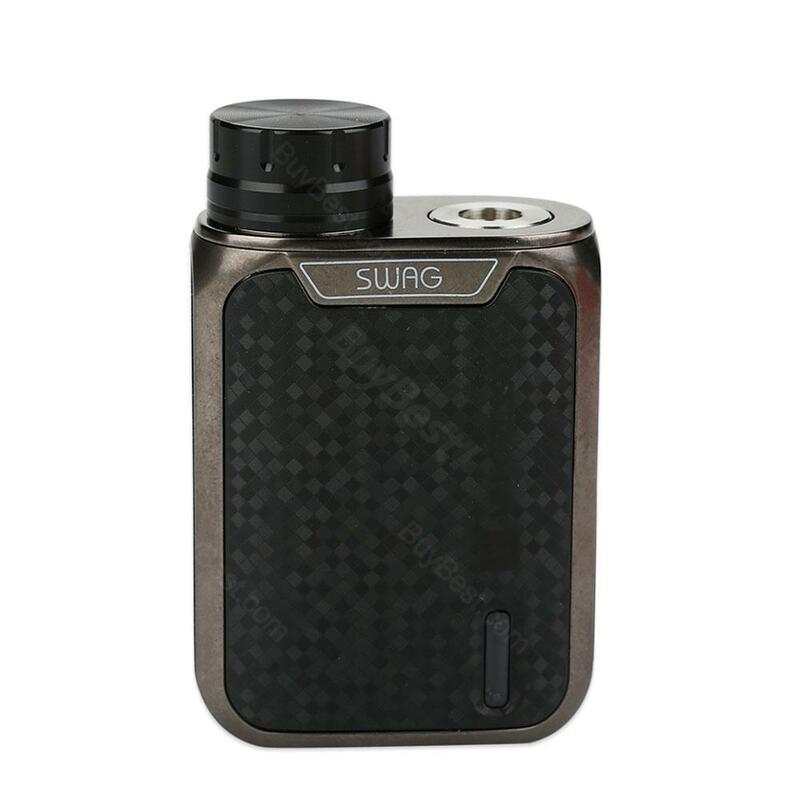 Swag MOD is powered by single 18650 battery and supports 80W max output with high performance VT/TC/VW/Smart modes. With 2A fast charging, upgradable Omni 2.0 chipset and 0.91-inch OLED display, Vaporesso Swag is absolutely a good choice for vapers. Moreover, Swag TC MOD adopts a revolutionary IML technology which provides greater wear resistance than traditional decorating methods. Just have a try! Vaporesso Swag MOD will never let you down. • Best match with NRG SE / NRG SE mini. Todo perfecto, fue enviado en el dia que lo compre y demoro exactamente 8 dias en llegar a argentina, de ahi demoro por la aduana, el paquete llego en perfecto estado, con los papeles de autenticidad. Muy recomendable. The Swag mod has a great-looking shape and design. Миниатюрный и легкий мод. Очень удобно лежит в руке и карман не оттягивает. В пределах 30-50 Ватт жарит нормально. Субъективно кажется, что по сравнению с Pico 25 аккумулятор садится быстрее. Very comfortable and beautiful mod.One of my favorite!! Great quality, sleek look. I didn't know there was a perfect mod like this! I love this mod. Just fantastic with sick clouds. Bought 1 for my wife and 1 for myself. Light weighted mod, there are lots of features, but I love the fast charging the best. Nice, easy, small mod, it's been awesome.